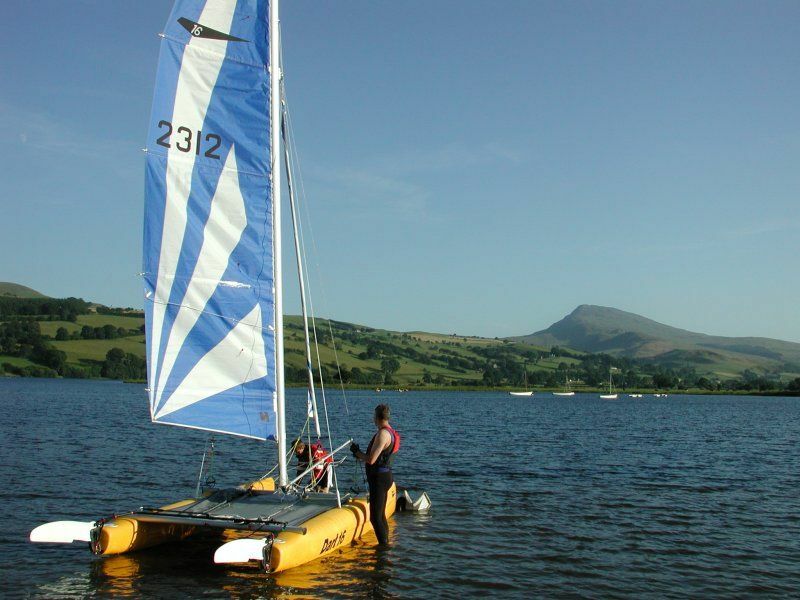 Bala lake ('Llyn Tegid’ in Welsh) is 4 miles long and 0.75 mile wide. It offers excellent coarse (fresh-water) fishing with pike, roach, perch, grayling and eels being the fish most commonly caught. Our local market town of Bala is on the borderline between North and Mid Wales therefore, very central for sightseeing numerous attractions of both areas. The Tryweryn National Whitewater centre, (phone: 01678 521083 Website: www.ukrafting.co.uk (famous for its rafting and canoeing), is 5 miles away and there is tuition available for all types of water-borne activity. Cycling is an exhilarating and healthy way of enjoying the countryside and there are a variety of routes and trails, many of which will be fully way marked and will have accompanying leaflets. Details of these are available from the Tourist Information Centre. Adventure map - Your next adventure! ... 3. National White Water Centre White water rafting on the UK's only natural world championship rapids! Get Wet offers High Ropes in the highest continuous course in the UK along with Paintballing and White water rafting (in Bala and in Llangollen). Activity North Wales is a convenient place for tourists to access information about and booking of activities in the local area and is situated on the high street of Bala just opposite the Texaco garage. Green Dragon Activities will be here offering taster sessions and tuition for adults and childrren on the Paddle Boards and Akwakats during this Summer, come along to have a go. Click on green dragon's website link above for more details.